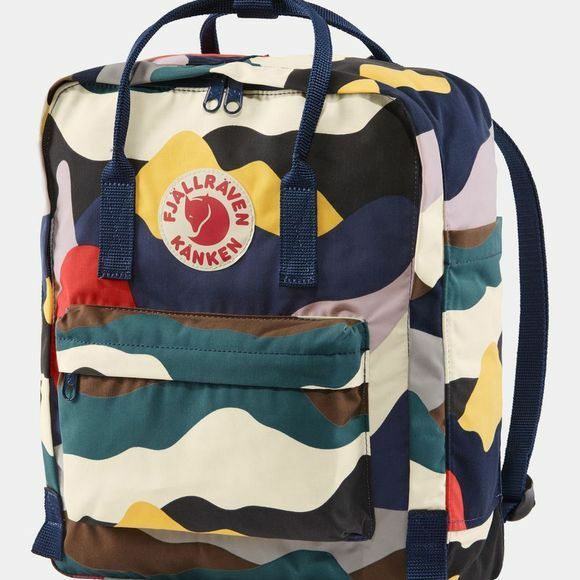 Kånken Art Backpack from Fjallraven is a result of invited artists expresing their relationship with nature while using the Kånken backpack as their canvas. Part of the Arctic Fox Initiative supporting climate/ environmental projects. Durable and lightweight, and just as handy on day trips as everyday use. Large main compartment with large opening makes it easy to put in/take out items. Two open side pockets and a zipped pocket in the front. Handle at the top and supple shoulder straps.